Book written by 2009 Korean Studies Dissertation Workshop and 2014 Korean Studies Workshop for Junior Faculty participant Myungji Yang based on her projects "The Illiberal Path to Development: The Urban Middle Class and the State in the Making of Development in South Korea (1963-1987) and China (1980-2007)" and "From Miracle to Mirage: The Making and Unmaking of the Korean Middle Class, 1960-2010." Myungji Yang’s From Miracle to Mirage is a critical account of the trajectory of state-sponsored middle-class formation in Korea in the second half of the twentieth century. Yang’s book offers a compelling story of the reality behind the myth of middle-class formation. Capturing the emergence, reproduction, and fragmentation of the Korean middle class, From Miracle to Mirage traces the historical process through which the seemingly successful state project of building a middle-class society resulted in a mirage. Yang argues that profitable speculation in skyrocketing prices for Seoul real estate led to mobility and material comforts for the new middle class. She also shows that the fragility inherent in such developments was embedded in the very formation of that socioeconomic group. Taking exception to conventional views, Yang emphasizes the role of the state in producing patterns of class structure and social inequality. She demonstrates the speculative and exclusionary ways in which the middle class was formed. Domestic politics and state policies, she argues, have shaped the lived experiences and identities of the Korean middle class. From Miracle to Mirage gives us a new interpretation of the reality behind the myth. Yang’s analysis provides evidence of how in cultural and objective terms the country’s rapid, compressed program of economic development created a deeply distorted distribution of wealth. 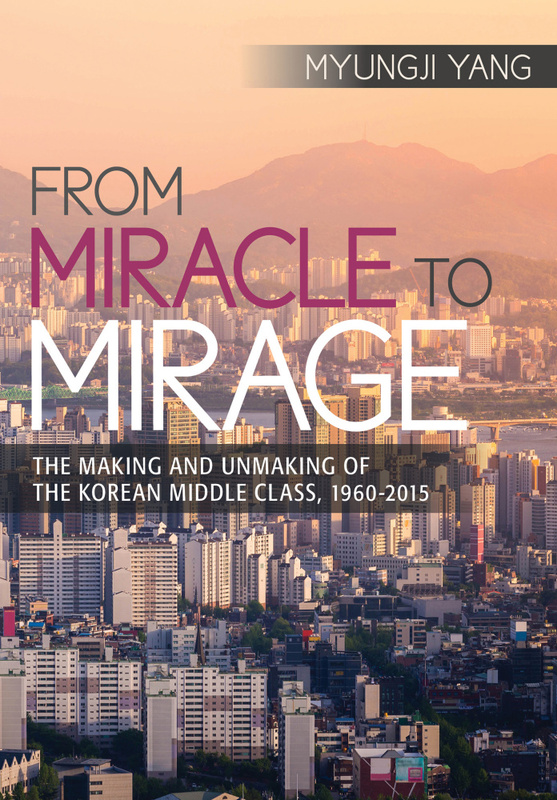 Yang, Myungji, From Miracle to Mirage: The Making and Unmaking of the Korean Middle Class, 1960-2015 (Cornell University / Cornell University Press, March 15th, 2018), http://www.cornellpress.cornell.edu/book/?GCOI=80140100724760.